Google CEO Eric Schmidt announced at IFA 2010 that Google TV would launch in the US in autumn and worldwide next year. The company had earlier unveiled the service at the firm’s own I/O developer conference and Schmidt also confirmed that the web-via-TV service would be free. Google TV will offer programming from traditional TV studios and production companies and Schmidt said it was unlikely Google would produce content of it’s own. Sony has already confirmed that it will be incorporating Google TV into the electronics giant’s TV sets and a number of other manufacturers are known to be in discussions to follow suit including Korean manufacturer Samsung. 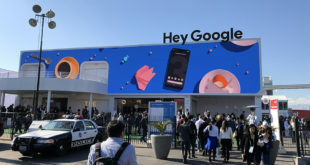 The company has been developing the operating system side by side with Android and there has been a degree of confusion regarding how Chrome sits along side Android, particularly since one of the hot product categories of IFA 2010 was that of upcoming Android-powered tablets. Schmidt pointed out that, like Android, Chrome is "free and open source" and that undoubtedly "people will also use it for tablets," he said. He also said that it was too early to say how the Chrome will play out but that the company expects partnership announcements later this year. Google appears to be taking a slightly different approach when it comes to the Chrome operating system, retaining tighter control over the latest version development. The OS has also been said to have much tigher control over hardware specifications which has been seen as a move aimed at reducing some of the fragmentation issues that Android has experienced. Schmidt used the IFA 2010 closing keynote to again point out that Android 3.0 "Gingerbread" will have improved support for tablet form factors. The new Android is expected to be less of a linear upgrade from Android 2.x but rather a new tablet version with an improved UI suitable for higher resolution displays. The firm’s Chrome OS has been designed to be a host for the Chrome browser rather than installing and running applications locally. 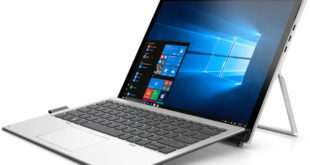 This raises the possibility of even lighter and lower power netbooks such as Toshiba’s recently released Android-powered AC100. Early reviews of the the AC100 have been critical of Android’s performance in this form factor. Google will be hoping that Chrome OS and the Chrome web browser, via Google apps and third party web store applications, will prove to be a more suitable solution.